As we all know, Central Board of Secondary Education (CBSE) is a Board of education for public and private schools under the Union Government of India. Bangalore, Garden city of Karnataka has become a home for many best CBSE Schools in playing significant role in the contribution towards the skill development. The best schools are filtered from so many factors such as All India rank of the school, Rank in the city, academic performance, etc., in such a way, this article describes top 10 CBSE Schools in Bangalore city. This article may help many parents and students to choose the best CBSE School for their future. This is Top most CBSE School in Bangalore and it is awarded as the best School among all Air Force Schools in India for the academic year 2012. National Rank of the school: Ranked No.95 position in All India rankings. State Rank of the school: Ranked No.13 position in the State of Karnataka. It offers classes from kinder garden to class XII. The School has Lower KG and Upper KG in the nursery section, classes I to V in the primary section and classes VI to X in the Secondary section. Classes XI and XII belong to higher secondary section with Science and Commerce Stream only. There are many facilities within the campus such as spacious classrooms, state of art science laboratories, huge library facility with large collections of books in every possible subjects and world class sports infrastructure. This school has won the best School among all Air Force schools of India on the academic year 2012. National Public School was established on the year 1982 and it is affiliated to Central Board of Secondary education (CBSE) which is nationalized education board of Government of India. NPS is one the top 10 best CBSE schools in Bangalore famous not only in Bangalore but also in whole India. NPS has strived hard and achieved academic excellence all through these years since its establishment. The curriculum followed in NPS is flexible allowing students to easily understand and grasp the subjects. It offers classed from I to XII. At junior levels it offers Montessori and kinder garden systems and at senior secondary level it offers Physics, Chemistry, Mathematics and Biology (PCMB) or Physics, Chemistry, Mathematics, Commerce (PCMCs) streams for the students. Each class has a maximum of 40 students. Campus facilities include spacious auditoriums, Science, mathematics, computer laboratories, smart classrooms, emergency medical facilities, fire extinguisher at strategic locations, audio and video rooms, concrete basket ball stadium, resource rooms and so on. This school has constantly been on the top of the ladder among all the CBSE schools in Bangalore. As of 2012, this school won 8th position in the All India Ranks and 2nd Position in Bangalore City. Students from NPC shine very well in the CBSE academic examination and most the students enter into the top most Institutes like IITs, BITS Pilani, NITs, etc., of India. This is one of the top 5 best CBSE schools in Bangalore. DPS South of Kanakapura road is the member of prestigious DPS family which comprises of more than 100 schools in India as well as abroad managed by Delhi Public Society. Following a standard and strong curriculum among all DPS schools has made DPS South as one of the outstanding CBSE schools of Bangalore. It offers classes from I to XII. Each class is allowed to consist of 40 students. DPS South Bangalore is ranked as the top best Day School in India by the survey taken by the Education world c-fore team during the year 2013. BGS International School is one of the Top rated CBSE Schools in Bangalore was established in the year 1997 by the Adi chuchunagiri Shiksana Trust which was formerly inaugurated by the former Prime Minister Mr.Atal Bihari Vajpayee on January 19, 2000. It is a co-educational school which offers admission for both boys and girls from Pre kinder garden to higher secondary level. This school always follows a Continuos and Comprehensive Evaluation (CCE) to provide holistic profile in the aspects of development. Delhi Public School North Bangalore is one of the best co-educational CBSE Day Schools in Bangalore which is affiliated with the Central Board of Secondary Education (CBSE), New Delhi. The school has total strength of 4427 and faculty strength of 210. This school was established in the year 2002 by the K.K.Educational and Charitable Trust under its chairman K.Rahman Khan who is the deputy chairman of Rajya Sabha. This school offers education right from the kinder garden to class XII. This school also offers senior secondary students coaching for the National Talent Search Examination (NTSE) and IIT-JEE. This school has partnered with the UK and German schools to work on the International projects on a collaborative basis. Well equipped library, robotics lab, separate labs for chemistry, physics, biology, math lab, three computer labs for primary and secondary level students, art and craft room, music room, cafeteria, technology enabled classrooms and ambulance facility. This school has achieved 100% pass results constantly in the examinations such as AISSCE and AISSE board examination conducted by CBSE for the Class X and Class XII. DPS Bangalore North has topped in the AISSCE examination during the academic year 2009 among all the DPS schools with an average percentage of 85.26. The classes offered are from kinder garden to class XII. 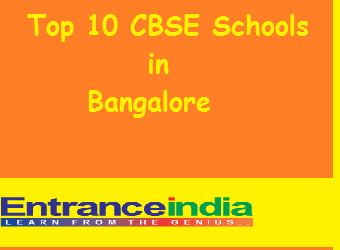 This school is declared one among the top ten CBSE Schools in Bangalore. Jain International Residential School offers education from Class IV to Class XII. It provides a blend of three academic programs such as CBSE (Central Board of Secondary Education), CIE (Cambridge International Examination) and IBDP (International Baccalaureate Diploma Programme). This is a 300 acre campus which consists of well equipped air conditioned classrooms with E-board, projection system and individual seating arrangements, audio-visual rooms, well equipped labs for chemistry, physics and biology, resource centre, four tennis courts, large auditoriums with a seating capacity of 200 people per time, large libraries, basket ball courts, billiards and snooker halls, cardio and aerobic fitness centre and air conditioned gym. This school has been ranked as No.4 in All India Rankings and No.1 in the State and city level rankings. This is one of the most popular co-educational English medium Day Schools which is affiliated with the CBSE board, New Delhi. This is an autonomous body which is under the Ministry of Human Resource Development (MHRD), Government of India. This school mainly aims to cater the educational requirements of the children belonging to the transferable central government employees, para military personnel by providing common level of education. This CBSE School offers education from Primary level to Class XII. Kendriya Vidyala Hebbal has constantly achieved 100% pass results in the Class X and Class XII CBSE board exams. Srikumarn Children’s Home Bangalore which is popularly known as Kumarans is one of the best CBSE schools in Bangalore. This school has secured overall aggregate of 91.7% in the CBSE Class XII examination among all CBSE schools of the country in the academic year 2015. This school was established in the year 1995 and it is affiliated with the CBSE board New Delhi which functions under the supervision of Ministry of Human Resource Development, Government of India. This School offers education in three levels such as primary, middle and secondary levels. In other words, it offers education from Primary level to Class XII. It has well equipped class rooms, laboratories for chemistry, physics, biology and computer science, Amphitheatre, Art and pottery class rooms, sports infrastructure, cafeteria, infirmary and so on. This school has secured an average aggregate of 91.7% in the CBSE XII 2015 examination among all CBSE schools of India. This school was established on the year 1999 by the Chairman of HAL, Bangalore Dr.Krishnadas Nair who wished to establish this school for the benefit of HAL employees. The top rated CBSE School in Bangalore got upgraded to senior secondary level on the year 2008 with PCMB and PCMC streams. Now the school has a total strength of 850 students and 40 staff members. This school offers education from Class LKG to Class XII. School is surrounded by canopies and trees which makes environment very fresh. It also consists of other facilities like spacious class rooms, large play grounds, art rooms, labs for chemistry, physics, biology and computer science, Library and so on. This school has secured an average aggregate of 90.3% in the CBSE XII 2015 examination among all CBSE schools of India. Just like Srikumarans Children’s Home school, it is also considered as one of the best CBSE schools of Bangalore.